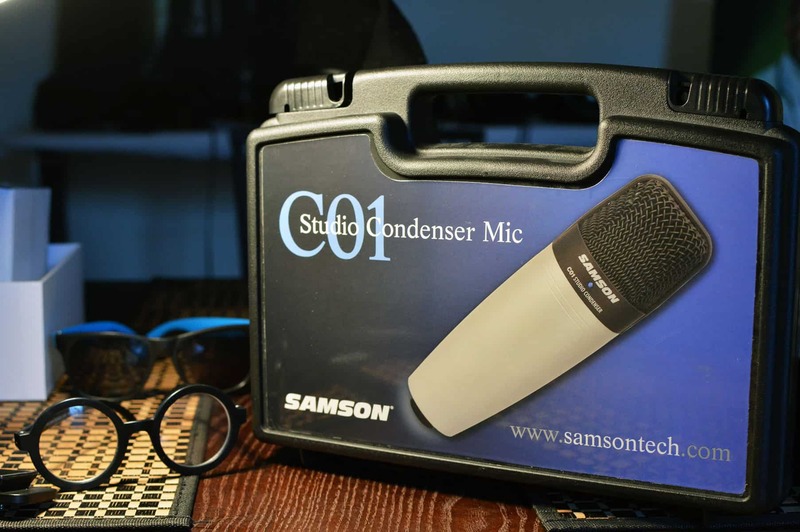 Samson C01 large diaphragm vocal condenser microphone! Before we get started, grab a snack sit back and relax because..
paired with the 2i2 at my parents house (circa 2014). 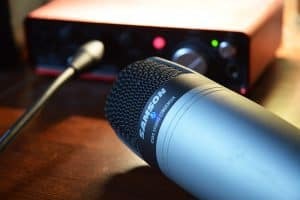 You can record vocals on the cheap yo! 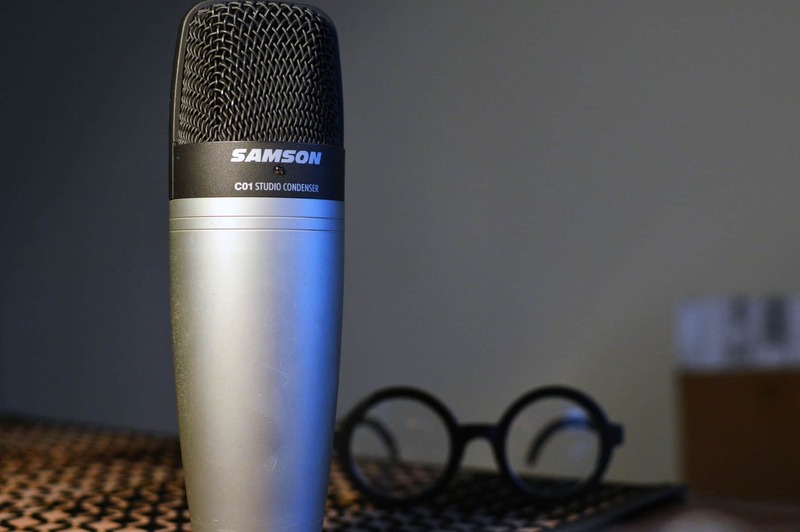 Seriously, this bad boy here .. the Samson C01 large diaphragm vocal condenser microphone , is about as rock solid as they come. In fact, this feels more like a barbell than a microphone. Well not quite, but you catch my drift. For the price, this cannot be beat. I’ve had it for years and it’s still kickin’. It served me well when I was first starting out, and records clean as a whistle. I’ve heard many recordings over rap beats in the past, and I can tell you even those guys (who I was friends with on YouTube) sounded crappy. It wasn’t because they were bad vocalists, but their sound quality and equipment was atrocious. They sounded like ET trying to rap. Raspy, airy, and alien sounding. Like they were recording out of a tin can. Lol. One day I decided I wanted to record a track, but didn’t want to sound like them. And found that this microphone performs admirably with a good audio interface. It also can be used with a Samson SP01 Spider Shockmount, and should be used with a pop filter also. After recording some vocals with this, I can honestly say it exceeded my expectations. Click to see the C01 in my apt. I’ve had it since 2007-2008! Case. Waldo Glasses not included. He’s just a big Teddy Bear. Manual and Warranty Card. 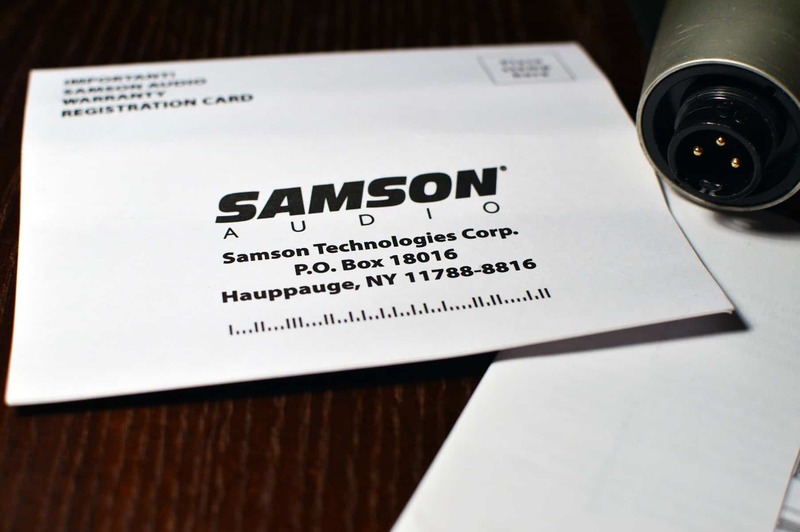 Samson backs it up with a 3 year AFAIK. Mic Clip. You would just put the clip on the bottom and use the piece on the far right to screw it in. Do not use this with the M-Audio Fast Track Pro USB Audio Interface. For some reason the mic preamps are complete rubbish when coupled with this mic. (You have to scream into it, and still it records quiet as a mouse). I had not tested any other mic with the FTP before I sold it, so I’m not sure if I got a lemon or what. After reading a ton of reviews, the same consensus was arrived at by some other reviewers. That said, it sounds great paired with the 2i2! Look around the internet and you will be hard pressed to find a bad word said about this baby. 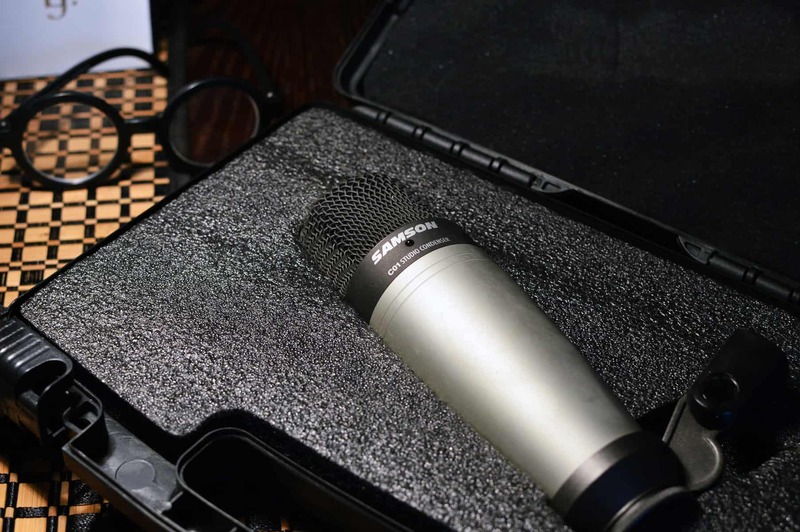 The reviews are all spot on: A Great mic for the beginner enthusiast looking for quality. It also comes in a sturdy case with foam padding and really feels professional to the touch. I was halfway expecting it to handle like a piece of glorified plastic. This is anything but. What more can i say? 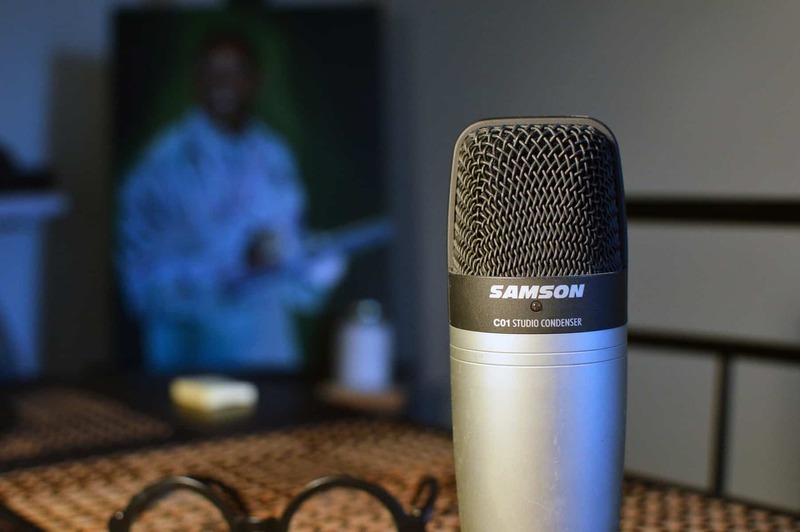 It’s a great budget mic that performs like an expensive piece of equipment. It will last you forever, and is built more like a barbell than a fragile studio piece. 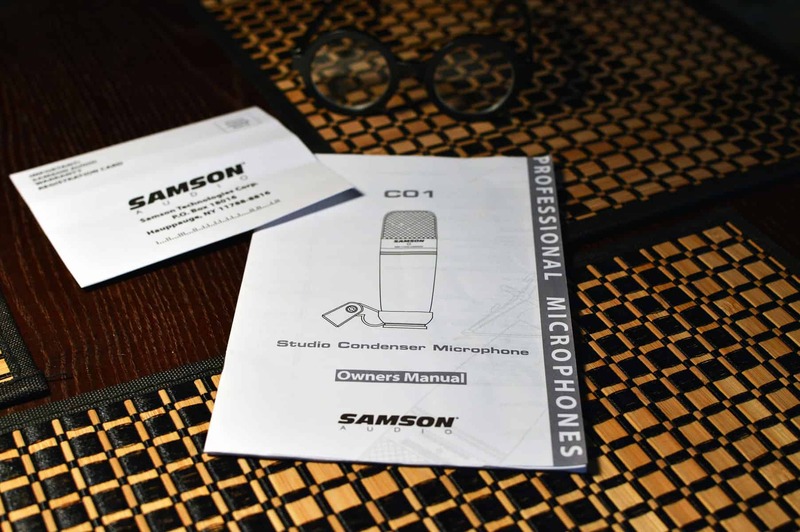 If you guys have any questions or comments about the Samson c01 large diaphragm vocal condenser microphone, please Contact me!! 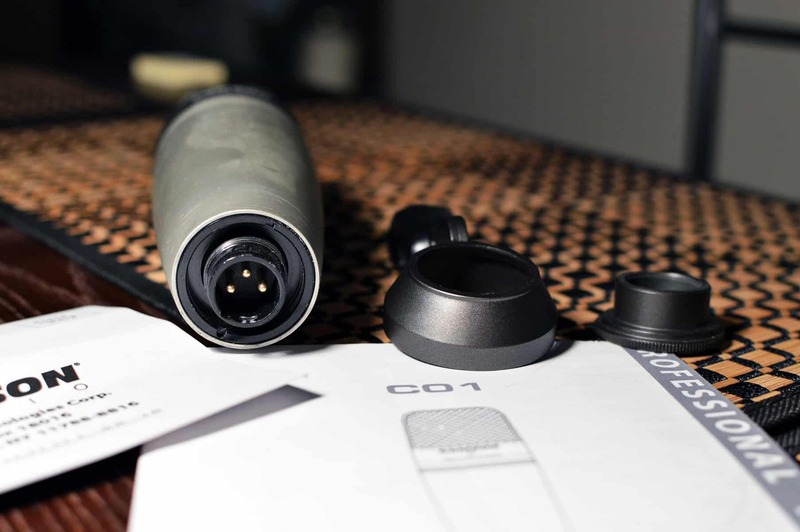 I would be happy to hear from you..
What do you guys think about this mic? Does it seem like a good value?? I would love to hear from you..
Great review. Sounds like a great mic and with your backing, that makes it even better. 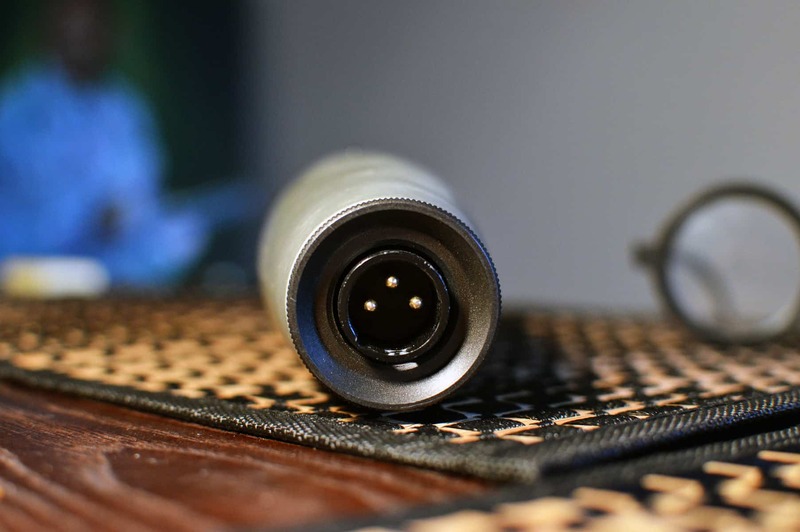 Thanks for sharing your solid opinion on Samon CO1 large diaphragm microphone. Keep providing your viewers info needed to continue to lay the tracks down. Hi Stu, I had a Fast Track Pro for years, and never really had problems with any microphones. Did you turn on the little 48V “Phantom Power” switch on in the back? Anyhow, nice little overview of the C01. Would you have any words on how you would describe it’s sound quality? How does it replicate the lows, mids and especially the high end, which is always interesting in large diaphragm condensers. It’s been so long JP I couldn’t tell you now. I sold it awhile back and got a new one. Who knows, you may be right! As for the mic, the low end can get a little muddy. The highs and mids are really it’s strong suit. It just really records very clean and honest. Why has no one liked this video? I have! Very good review. Nice setup. I used to have a Behringer C3 and the same shock mount, but do still use the Samson PS-01. Excellent﻿ value and quality for the price! How did you like the C3? I haven’t really done much research on it. The PS01 has held up for years in my studio. I can’t recommend it enough! Hope to hear back from you..
Hey! Im considering buying focusrite scarlett 2i2 recording bundle(comes with the interface, cables,microphone and headphones) vs getting the 2i2 interface and the samson C01 separately and maybe invest in better headphones later. What do you think about the microphone and headphones that focusrite gives? Should I just buy that bundle? 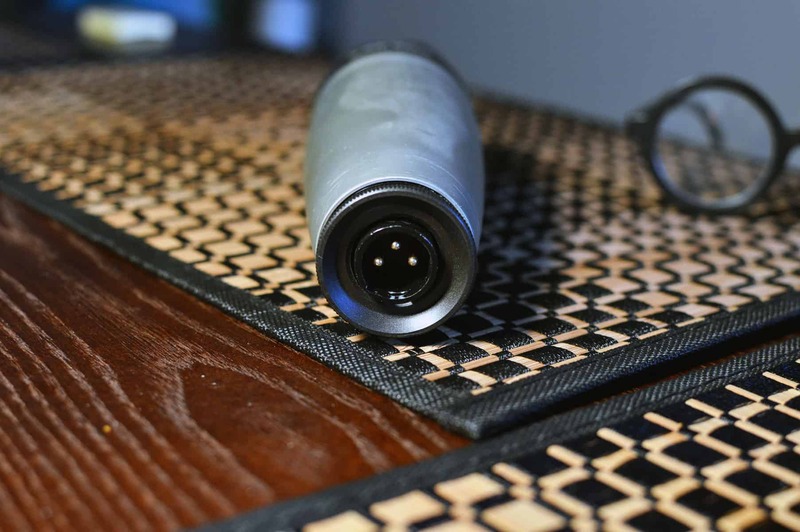 -XLR cables (try not to go too cheap here, quality cables do make a difference). Later on down the road you will probably want some studio monitors, as they provide a better overall mix than strictly headphones. Having both is extremely beneficial, as you can reference back and forth with the 2i2. What are studio monitors? If you have any other specific questions, just ask here or Contact me!! I have 2 samson co1. one is factory and the other one is the one that I removed the foam and its sound even better, but I still like the factory one, so I let it be. And I do like your voice. How did you manage to remove the foam? I inspected my own C01 and couldn’t see a safe way to do it.